Working With Sepro Mineral Systems Corp.
Sepro Mineral Systems Corp. is a rapidly expanding Canadian company headquartered in Langley, British Columbia. We have offices and representatives located around the globe in support of the mining, metals, and construction aggregates industries. Sepro’s core business for the last 25+ years has been the supply of mineral processing equipment, metallurgical testing and process consulting. Services range from evaluative studies through equipment and plant design, fabrication and commissioning. Sepro provides a dynamic, challenging and enjoyable environment with excellent working conditions and benefits. 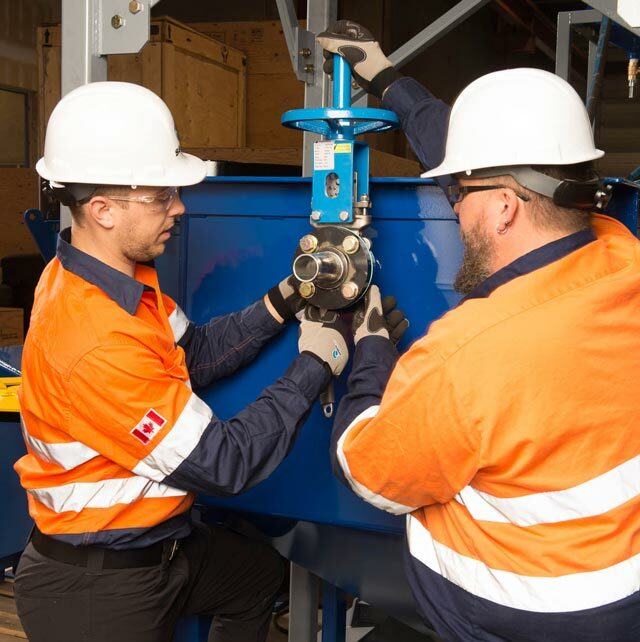 Team members from departments such as Engineering, Sales and Technical Service work collaboratively to produce the best possible equipment and process solutions for our customers. Please note: Because of time constraints, we only contact applicants that we’re able to interview. We respectfully decline phone calls or walk-in visits for any positions. We are currently seeking an Automation Engineer to join our Langley, BC office. In this position, the successful candidate would be responsible for the design, development, and delivery of high quality, innovative engineering solutions as well as periodic technical support for our worldwide customers. The successful candidate will work with sales professionals to guide and confirm customer requirements, with operations professionals to select and manage vendors and with project managers to design and efficiently deliver electrical and automation packages for Sepro’s wide range of equipment around the world. We offer a competitive salary that increases with technical capability and responsibility, comprehensive benefit package, and a flexible working environment with ample opportunity for international travel. Design and commission industrial electrical power systems, including electrical room design, equipment specifications, motor control, grounding systems, cable and raceway sizing and layouts, etc. To apply for this position, send a resume and application to sepro@seprosystems.com with “Senior Automation Engineer” as the subject. The Junior Parts Sales Representative will be responsible for responding to customer emailed parts requests, supporting senior sales staff and processing orders for our international clients in a quick and professional manner. Interpersonal skills to communicate with staff at all levels of the organization and a great enthusiastic attitude is a must. Experience working within a business-to-business environment (preferred but not limited to Heavy Equipment, Mining, and Mineral Processing). The incumbent will be reporting to the Parts Sales Manager in Langley, BC and will be supported by Head Office sales staff as well as by the Montreal Office Manager. Sepro Mineral Systems Corp. is a Canadian company operating internationally in the mining, metals, and construction aggregates industries. The company’s core business for the last 25+ years has been the supply of mineral processing equipment, metallurgical testing and process consulting. Sepro provides a dynamic, challenging and enjoyable environment with excellent working conditions and benefits. Sepro offers a competitive benefits package and an Employee Share Ownership Program. Please send your resumes or CVs to sepro@seprosystems.com in a word document or pdf format, with attention Parts Sales Manager in the subject line. We thank all applicants for their interest, however, only those seriously considered will be contacted. No phone calls please.